Barton Turns? Wasn’t he a Special Agent? From Tixall Bridge No 106 to Tattenhill Lock Narrows, a distance of 21 miles, 3¾ flg and 14 locks. After a very peaceful night we made the short trip to Tixall lock and met our first boat of the day, actually we met our first and second boats of the day at the lock both of which were apparently single handed and crewed by women – which makes a change as the world of “solo” canal boating seems to be predominantly a male bastion. Once through the lock we made our way to Tixall Wide (Southwest end) and into the Wide itself. 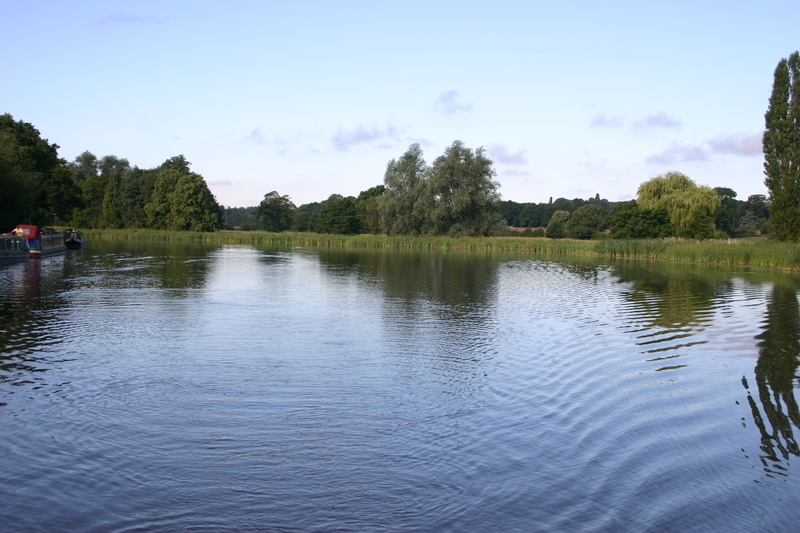 No-one seems to know why the wide was built – there seems to be no reason for it from a canal engineering point of view such as water storage and the other various ideas like it was built because the owner of Tixall Hall didn’t want a canal spoiling his view so it was disguised as a lake, seem to have no solid provenance. 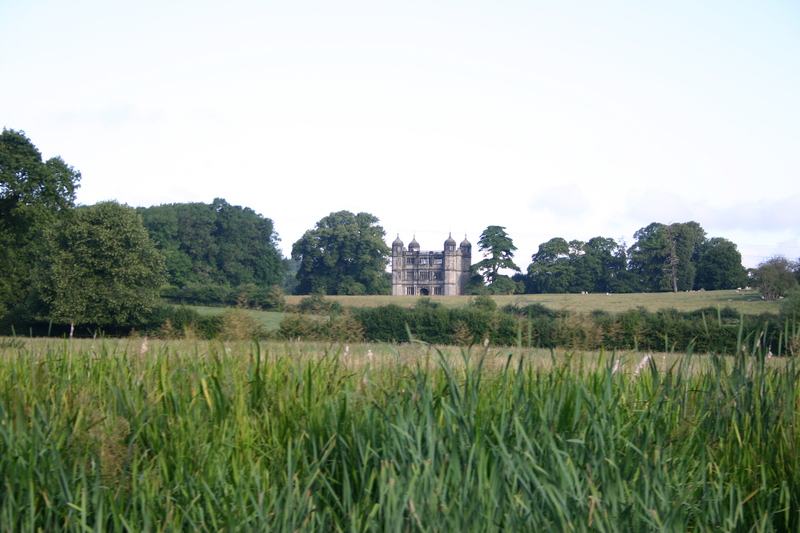 Of course its quite possible that it was built for that reason although in many ways the canal won in the end because of Tixall Hall there is no sign, with only its rather over the top gatehouse and some equally mad stables, giving any hint that there was ever anything there. Just how many horses do you need? It’s only a short distance from Tixall Wide (Northeast end) to Great Haywood Junction where the S&W meets the Trent and Mersey Canal (Main Line – Fradley to Great Haywood). I throttled down and gave a long blast on the horn to warn people we were coming into the junction and we listened for any horn blasts in return and there were none. So I throttled back up and as we came into the bridge on the junction another boat coming down from Stone started to turn into the junction as well. To be fair they did stop but they seemed completely blasé about the whole thing. Apart from that boat there was no-one else on the move which given that it was 9am on a glorious sunny day did seem a little surprising and it made a change to go through Haywood Lock No 22 without having to wait. 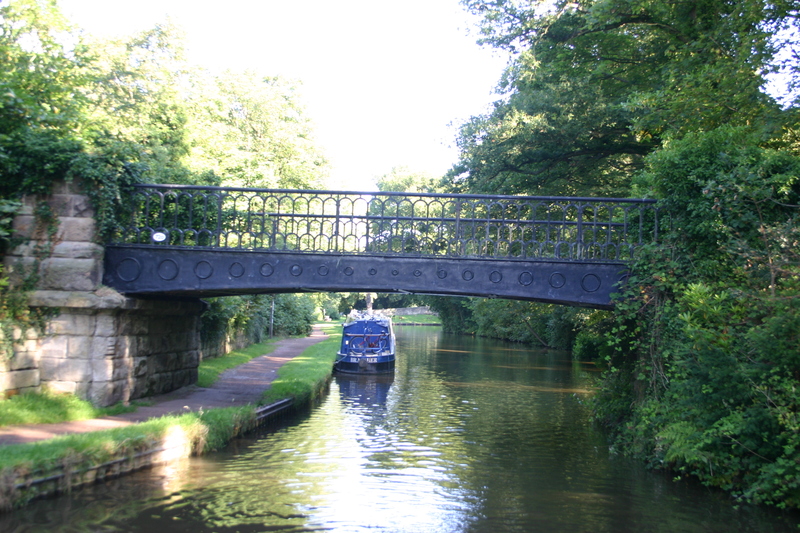 Just below the lock is Fancy Bridge No 73A which is exactly what the name suggests. The reasons for this bridge are better known but still probably a little over egged. Our bridge is fancier than yours! 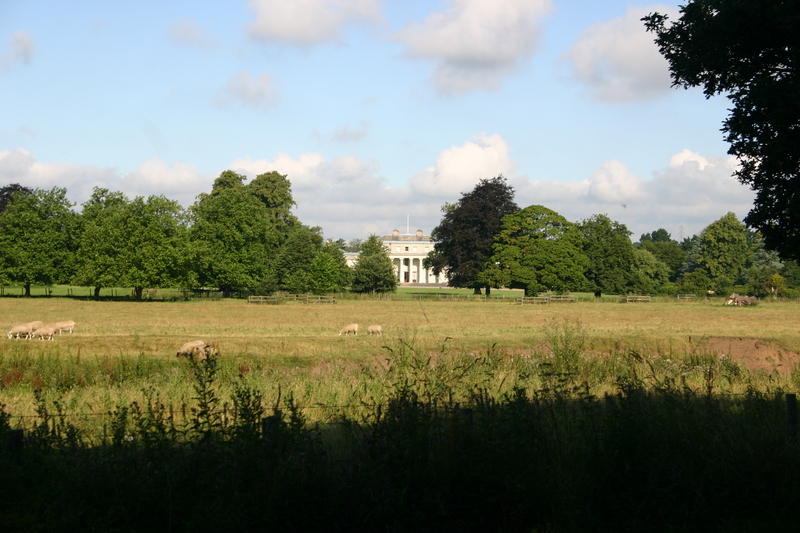 It was built so that the Owners of Shugborough Hall could go to church, and when the railway came along they got a bridge built for that too. It looks a little odd now as the bridge over the River Trent is missing so basically the bridge leads to nowhere. But then again when you’ve got serious amounts of money then why not just go for it! Even if you don’t get held up at Haywood lock you can usually guarantee that Colwich Lock No 21 will be totally congested, but again it, rather worryingly, wasn’t and with only one boat ahead of us we hardly had to wait, however apparently even though both myself and the person from the other boat who was working the lock, and the person on that boat checked for another boat coming up we apparently were supposed to have walked down the canal and round the bend to check for other boats, because if we had we would have seen the boat coming and I wouldn’t have been accused of “stealing a lock” from someone. The canal keeps to the side of the river valley until just before Rugeley when it crosses the valley, and then river itself on the rather solidly constructed Brindley Bank Aqueduct, so that it can just about miss Rugeley itself. 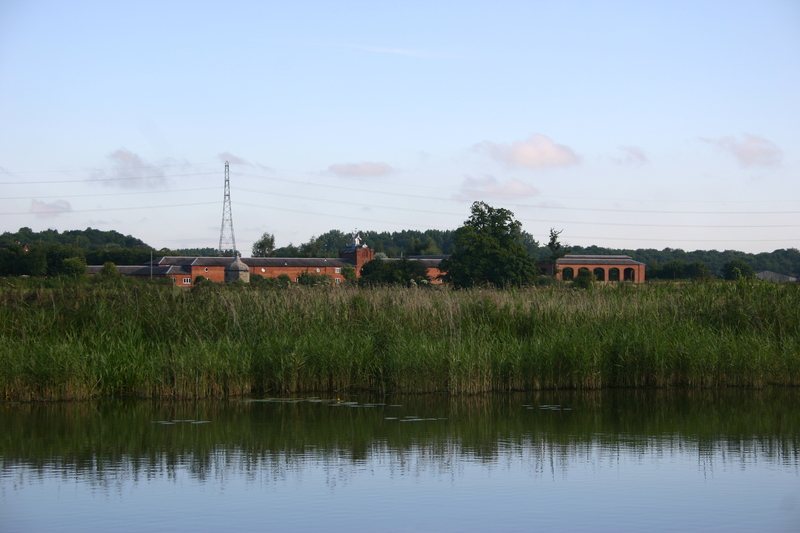 Rugeley is also where you meet the first of the Trent Valley power stations which is still in use. There used to be a coal mine right by the side of the powerstation but it’s long gone and has been replaced by industrial and business units. The mine might have gone but it’s legacy in the form of extreme subsidence can be seen all around, but no more so on either side of Armitage Tunnel where the cast concrete sides of the canal show repeated applications of extra levels of concrete to keep the banks above water level, and of course there is the tunnel itself. Well I say “tunnel” but it was opened up in the 1970s when the top got to be too close to the bottom. Almost without warning you find yourself out in the countryside again and it’s quite a pleasant trip down to Wood End Lock No 20 which is one of those places that really epitomises the English Country Canal. Shade House Lock No 19 marks the start of the flight of 5 locks through Fradley and it is usually completely manic. Today it was busy but each lock had one or more Canal and River Trust Volunteers on it and they were co-ordinating things nicely and keeping the boats moving smoothly through the flight. The canal retains its pretty rural aspect even when it passes through Alrewas and once you go through Alrewas Lock No 12 and onto the River Trent itself for a short while, you realise that you really are quite out in the middle of nowhere. That idea is brought crashing down when you arrive at Wychnor Lock No 11 where the A38 comes along side. I’m quite sure that when the canal was built that Ryknild Street was a busy road but now it’s a dual carriage way with lots of traffic doing 70mph+ on it, and although Burton Mutual Angling Association might own the fishing rights along this stretch you have to wonder who in the right mind would sit on a canal towpath fishing with traffic zooming right past your back – certainly they’d not be able to push their rods back through the hedgerow like they often do. The canal tries to shake off the A39 and for a few hundred yards by Barton Turn Lock No 10 it actually does and the Pub (of the same name) looks out over a now empty Ryknild Street.